There’s something about the number “two” I really like. I have two children, for starters. Here’s another reason: 1812Blockhouse is celebrating the number “two” in “two” ways this week. First, we turn two years old on Saturday – a mini milestone for any local media effort. Second, we are sharing an announcement below that very much concerns the same number. First things first. The switch was flipped to turn on 1812Blockhouse on September 8, 2016. The site had been in a draft format for some time before that, however when news of my nephew’s birth came during the evening hours, it seemed an appropriate moment to launch. And what a wild two years it has been! As of this moment, we have posted 2, 712 stories and linked to many times that number in our Richland Tweets section on desktop and mobile. We have broken many local news stories and promoted many others written by other local media. As you may have realized, 1812Blockhouse has a differing philosophy then the other media sites in our market. Every day, we share links to our “competition,” so in a way we are working for them. That said, we do have very faithful readers and generate very strong traffic for our own original writing – sometimes tens of thousands sets of eyes for a single post. Our advertisers can reach a large audience for local news and information. We have some planned changes for 1812Blockouse this fall as we improve our business model and reach out to new readers. Today, however, we have another announcement to share. In the coming days 1812Blockhouse will be getting a sister site based on the same idea — a one-stop source for community news and information. Permit me to interject a bit of personal reflection here. Many years ago, I had the opportunity to serve as the very first full-time Downtown Coordinator in the City of Delaware. My job was to serve as a liaison between Downtown Delaware, Inc., the city’s downtown revitalization organization, and downtown Delaware businesses, property owners, and stakeholders. I loved the position and grew quite fond of the city and the area. 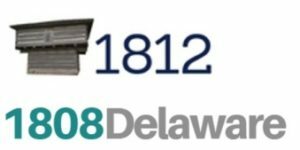 I am very pleased therefore to share the news that 1808Delaware is already on social media and will shortly be arriving on desktop and mobile. In each case, we’re at @1808Delaware (and, of course, 1808delaware.com). 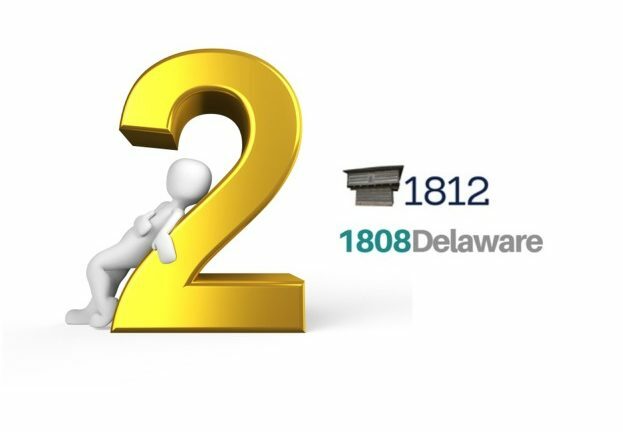 In case you were wondering, both the city of Delaware and Delaware County were founded in the year 1808. It’s abundantly clear that Delaware County is a very different media market than Richland County, and that is part of what makes this additional project a fun and exciting one. The two sites will be sharing stories of regional interest as well. As always, I am hugely thankful for you reading 1812Blockhouse. It has been, and continues to be, a labor of love for all involved.